In addition to shielding a broad range of electronic products and enclosures, AegisGuard™ XP Radiation Shields can be applied to a variety of surfaces for specific application requirements. 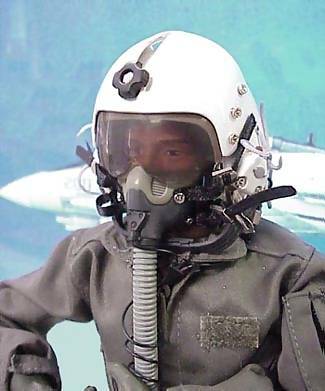 For products such as the flight helmet shown above, various shielding and fastening methods can be used for this type of application. To shield the entire inside cavity of a helmet or other electronic equipment, enclosures, walls or entire rooms, multiple lengths of the AegisGuard™ XP Radiation Shield can fastened using VELCRO or an adhesive with a 1 in. (2.54 cm) overlap. See installation instructions for custom sizes. To shield individual areas, such as the earphone (speaker) and/or microphone, the AegisGuard™ XP Radiation Shield can be slit, stamped or trimmed to size by the customer, or AegisGuard™ LS Radiation Shields can be used.